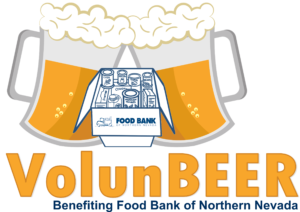 Join us for the first VolunBEER event, which combines volunteering to help our neighbors facing hunger, with a fun party at Nevada’s favorite brewery, Great Basin Brewing Company. There will be a raffle to help fight hunger in our community. Your ticket includes a delicious dinner, your first beer (or other beverage), brewery tours & games, and a free raffle ticket (additional raffle entries can be purchased at the event). Visit the Events page to get your tickets today! Scheduling your volunteer sessions is easy! Have a specific date you’d like to join us? Looking for a certain task or location? The search feature will quickly and easily filter the list of available Events for you. View our Quick Guide for more detailed instructions. Don’t have a volunteer account yet? Complete the New Volunteer Application to get started. Interested in Bringing a Group to the Food Bank? Submit the Volunteer Group Request Form to register your group and begin scheduling your session. Did you know many employers will make a monetary donation on behalf of an employee as a match for their volunteer hours? Check to see if your company provides a volunteer match to double the impact your time spent volunteering with the Food Bank will have on our neighbors in need. Please email our Volunteer Coordinator, Amanda Sharkey, or call (775) 785-1431.